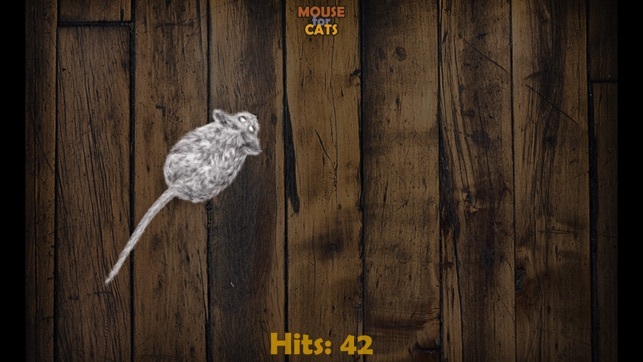 Mouse for Cats is legendary 2D game for cats. Catch the mouse in original HDR graphics. There are 11 different, interesting and exciting mouse levels! 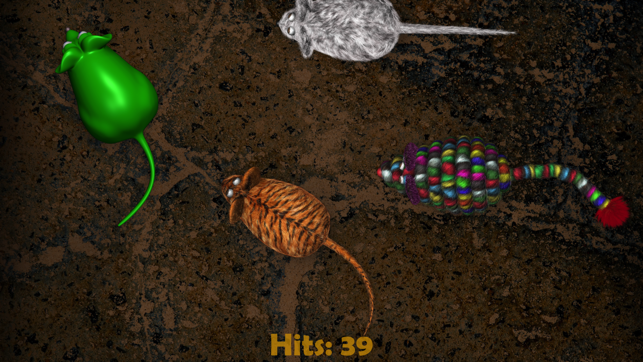 Game is built, timed and optimized for cats! Mice are all in different colors with animated shape, irritating tail moves and sounds so your cat pays a serious attention to the game. Important: This is game FOR CATS - NOT FOR DOGS! please READ How To use this app for cats bellow. 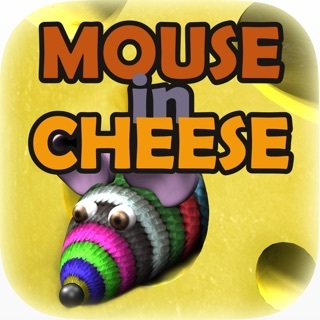 *** Game contains free squeak sounds - you must hear test sounds while tapping on Squeak menu entry. !! Verify that your device is capable to play mice sounds before you buy unlocks !! 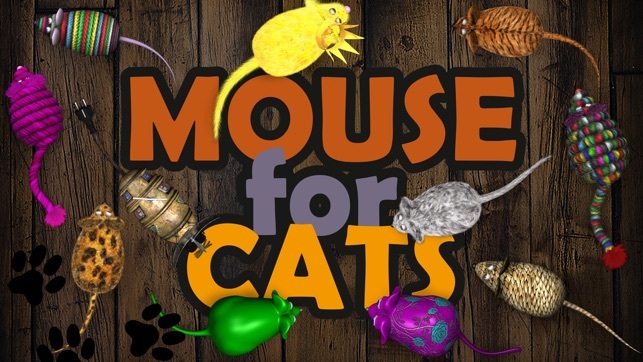 - Multi Mouse Mode (1,2,4) - 4 mice for more cat players! - check if there are no disturbing REFLECTIONS from the cats angle of view. - if your cat constantly switching between apps, disable MULTITASKING gestures in your iPad settings - general section. ( cat paw contains more segments than one finger...). - adjust BRIGHTNESS - remember that cat needs lower values (10-40%). - game has "Back to Menu button" - simply minimize and restore app and Menu button will appear for 5 seconds. 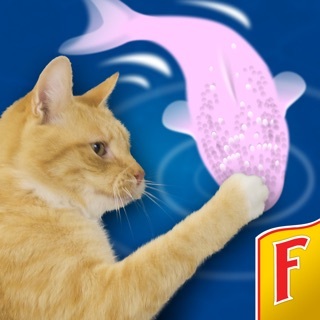 This game for cats is recommended for active indoor cats. As the rubber toy is not real mouse in the real world and even does not squeak like the real mouse, mice in this game are toys and they are colored for cats - not for humans, same applies for selected sounds - everything was massively tested and it is interesting action game for most cats. 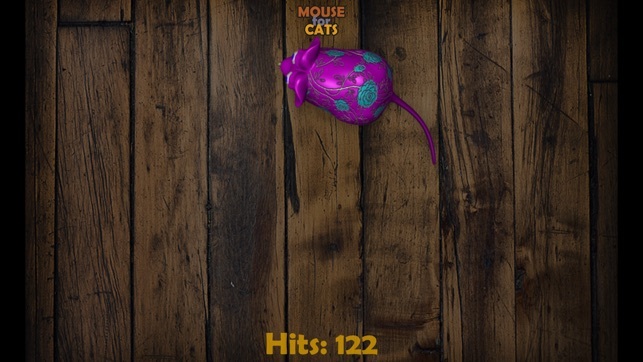 You can support us by purchasing in-app Unlocks and you will get unlocked Mouse for Cats with real sounds, premium mice, multi mouse, set random or favorite mouse, speed, level order. 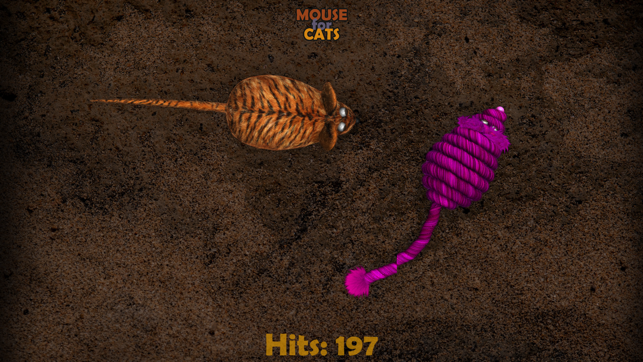 Try tap on mouse and move it around to get cat interested in game. Show how to tap on screen, they should follow you. Our cat testers reaching score above 100 in few moments, some of them are able to recognize Mouse for Cats icon and start whole application from the iPad home screen!! 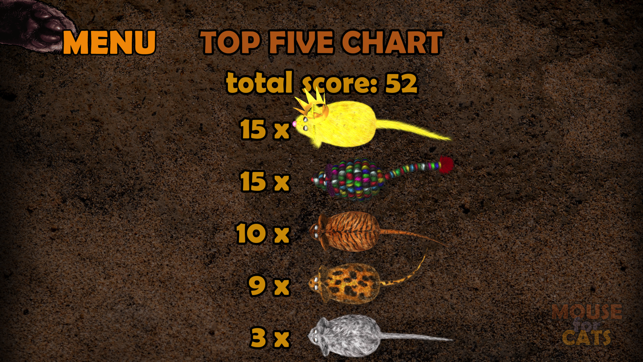 You can try it even on small iPhone, there were nice results too, but game runs best on iPad with retina display. To prevent scratches on the backside of the device, please do not put your device on the hard surface without protection cover! Carpet or bed are best and safest places. Cat may have some hard particles on the paws - protection film or tempered glass are recommended too.
! -- Mouse in Cheese -- !
! -- Fish for Casts -- ! 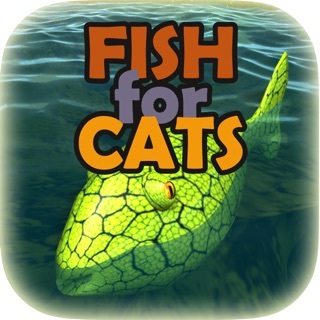 we are cat lovers = our games for cats are free. + 'Off-screen Mouse' settings - If your cat digging on borders or flipping iPad try to disable off-screen mouse. This is the second cat app I've downloaded. I don't have much for comparison but I can say the Purina app did nothing for my 10 year old cat,but this one she likes to interact with. It took her a few viewings before she started to tap the screen but she was interested from the start. Now whenever I pull out my tablet she starts tapping the screen as if asking me to turn on the mouse. The added benefit is that she has anxiety around my new dog, but this app helps to distract her when he is close. She gets very hyped during the game but calms down a few minutes after I take it away. After that she is in a relaxed state and is better able to tolerate my dog's presence. I have two cats and tried this game out on one of them since she didn’t seem very interested in the toy I had for her and at first I thought it was a loss cause but then I noticed her eyes following the mouse so I thought she might attack and she did. She started to bite it at first then started hitting it with her paw until she gave up on figuring out how it worked and left. I placed my phone in front of my other cat and she just took a glance at it then walked away, uninterested. She’s never been into playing so I didn’t expect her to anyways. 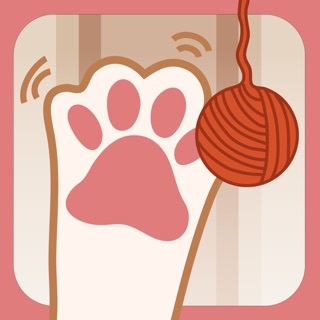 Still an amazing app for cats who enjoy playing! Interesting that some people are leaving bad reviews because their cats don’t like this. I have 3 cats and my daughter has 4. What we’ve found is that some cats just aren’t interested or can’t be bothered (they ARE cats, after all!). I have 2 that will play this game for hours if I let them and one who totally ignores it. Same is holding true with daughters cats, 1 isn’t interested and the other 3 that thinks it’s great. 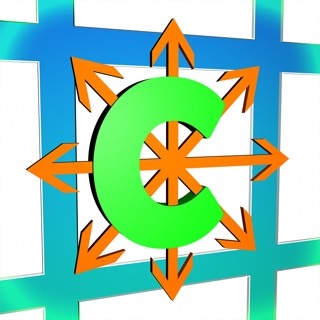 I believe it’s a great app for those cats that are attracted to it and not great for those cats that aren’t interested. The app itself is not to blame, it’s just a cat thing!